HEULE developed a special tool based on the COFA C3. The carbide blade has a cutting geometry that is optimized for composites and is coated. 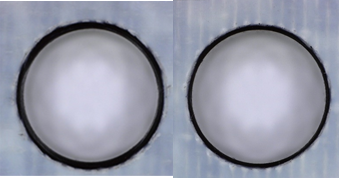 The picture on the left shows the bore entry and on the right, the bore exit after the deburring. 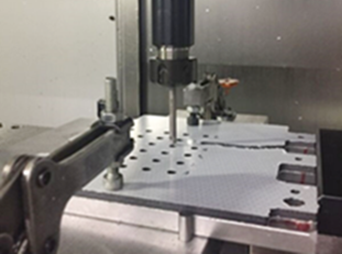 The customer is satisfied by the deburring result and by the tool life of the blade. Interested in a COFA deburring tool? Visit the COFA product page for more info.